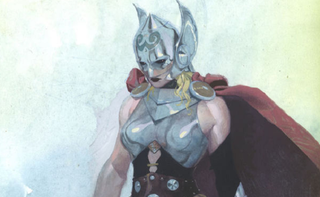 Then again, Thor entering the Disney princess circuit would also give people a reason to never, ever retire the whole "Disney princesses as [insert other thing here]." Hmm. Alas, right now the Disney Princess line-up doesn't even include Anna and Elsa, apparently/currently, so I wouldn't get too hyped on this Thor technicality. EDIT: the tweet originally in this post was not correctly sourced. We replaced it with the person who originally made the Tweet.